Sripatum University or SPU is a medium size private university in the north of Bangkok, Thailand. Inspired by the vision of Dr. Sook Pookayaporn, who wanted to give Thai youths the chance to develop their full potential, Sripatum University (SPU) was founded on May 28, 1970 under the name Thai Suriya College. The college later was promoted to university status. “Sripatum” means the “Source of Knowledge Blooming Like a Lotus” and was graciously conferred on the college by the Her Royal Highness the late Princess Mother Srinagarindra (Somdet Phra Srinagarindra Baromarajajanan). She presided over the official opening ceremony of SPU and awarded vocational certificates to the first three graduating classes. 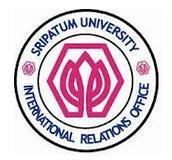 Sripatum University is therefore one of the first five private universities of Thailand.